German-language schools in Romania are regarded as an attractive educationalalternative leading to increased opportunities in the labour market. Despite this positiveperception, since 1989 and due, in part, to the massive emigration of the Germanminority, German-language schools have been confronted with problems whichthreaten their continued existence. There is, however, no scientific research on theperception of these specific strengths and problems, and no studies on the measuresnecessary to preserve German minority schools. The present study investigates theperception of teachers as internal stakeholders of the system (N = 136), respectivelyparents and alumni as external stakeholders (N = 366) on the strengths of German-language education, the issues it faces and the measures necessary to safeguard it forthe future. One third of participants in the study were native German speakers (N = 155), and two thirds native Romanian speakers (N = 343). Data were collectednationally, both in regions with a high concentration of German-language schools (N =242) and in regions where these institutions are relatively sparse (N = 222). 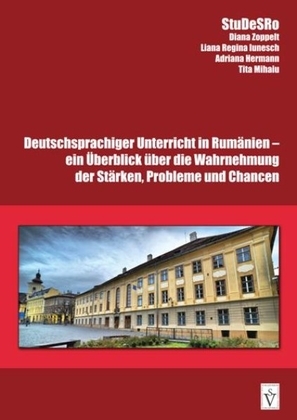 The aim ofthe study is to provide a representative description of various stakeholders' perceptionsof the German-language school system, and to make the results available for policy-makers in education within and without Romanian borders.